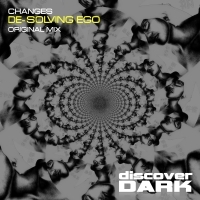 A welcome return to the darkness for Changes with his latest tune - De-Solving Ego. Twisted and moody with industrial stabs that drive the tune alone over a solid groove that still manages to pull the urge to dance out of the mayhem. Hints of melody bring a nice balance to the track which shows that in music, as in life, there is beauty in chaos. 'De-Solving Ego' is available now from Beatport and iTunes.